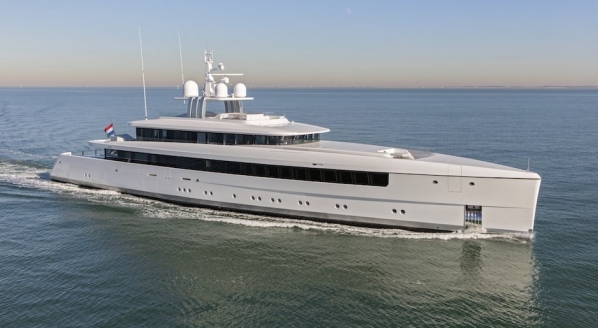 Only a few days have passed since the end of the Monaco Yacht Show, the sector’s most important nautical trade fair, where STP Shipyard Palma revealed to an international audience the incorporation into its technical fleet of a new 1,000-tonne travelift at its facilities, a travelift that is currently unique in Europe. The stand was decorated with a detailed scale model of the hoist and there was an exclusive first showing of a video summarising, in under 3 minutes, the complicated assembly of the travelift that took place over an intense and very hot month-and-a-half, and that will soon be available to the public. 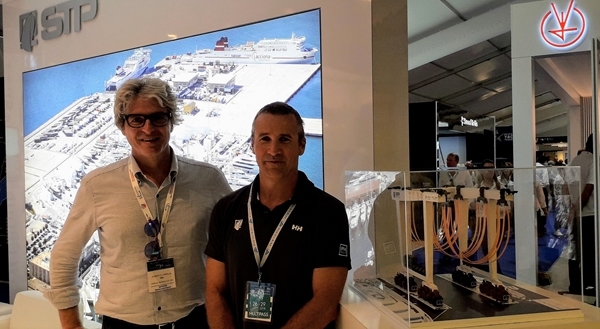 The Cimolai team, tasked with its construction, visited the STP team at the stand to talk about final assembly details and preparations for the first hoisting tests. 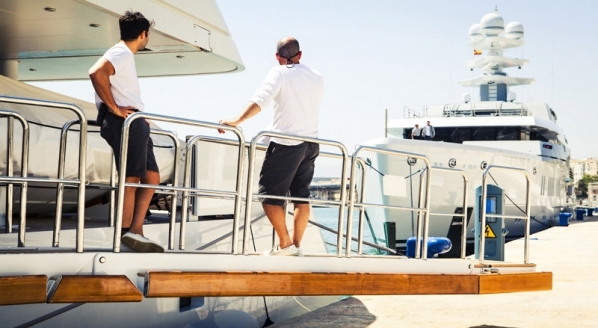 The agreement to buy this new travelift for the shipyard occurred during the previous edition of the MYS and one year later, last July, assembly work began. The pieces arrived in 24 lorries that had come from Carmignano di Brenta in Italy, to be assembled by the technical team that had travelled from Italy to do the work. 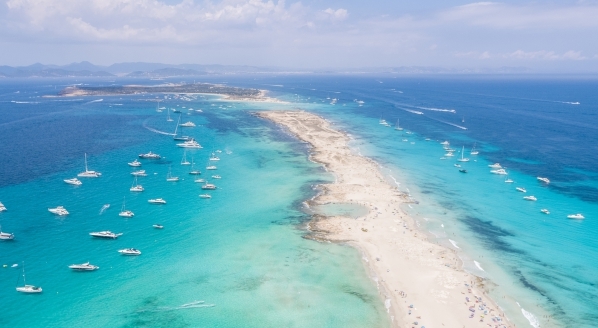 This new travelift, that will be operational in October, is distinctive for currently being that of greatest capacity in Europe, and will permit the hoisting of boats that up until now could not be raised at the facilities. One interesting fact is that it will mean that some yachts will not have to remove the stays or back stays (parts of the rigging) during the manoeuvre. This new travelift joins STP Shipyard Palma’s current fleet of 700, 200, 150, 100 and 30 tonnes, to offer the best hoist and relaunch service in Europe to a wide diversity of boats, that each year choose the shipyard to carry out their refit and repair tasks, whether these be while berthed, on land or in one of the 7 pits. 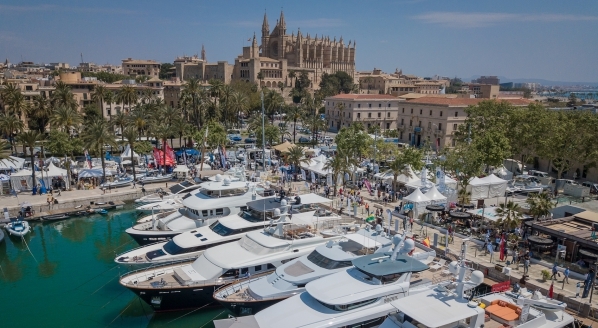 In addition, during the Monaco Yacht Show, and to continue with the now customary tradition, STP Shipyard Palma, together with Marina Ibiza, offered visitors the opportunity to sample Spanish wine and ham on the second day of the fair in collaboration with other companies from the sector that form part of the Balearic Yacht Destination project. There can be no doubt that this was an event that brought together a large number of sector members including skippers, industrialists, friends and collaborators, who were able to exchange their thoughts on the show, and also on the boating world in general.